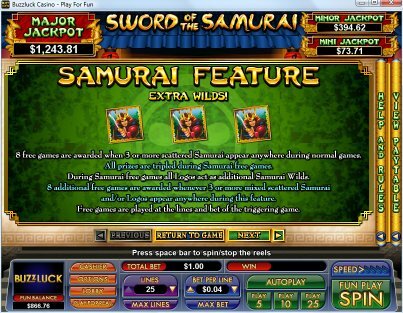 Overview: Sword of the Samurai is a new 25 line slot with 2 free game features from Nuworks Gaming. 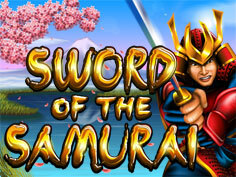 The Samurai feature awards 8 free games with prizes tripled and scattered Logos act as additional Wilds! The Sword feature has prizes multiplied by 1 in the first free game, by 2 in the second, by 3 in the third and so on, up to a 25 times prize multiplier! 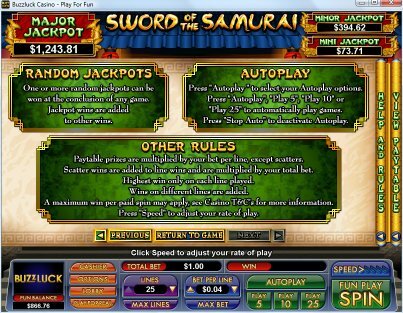 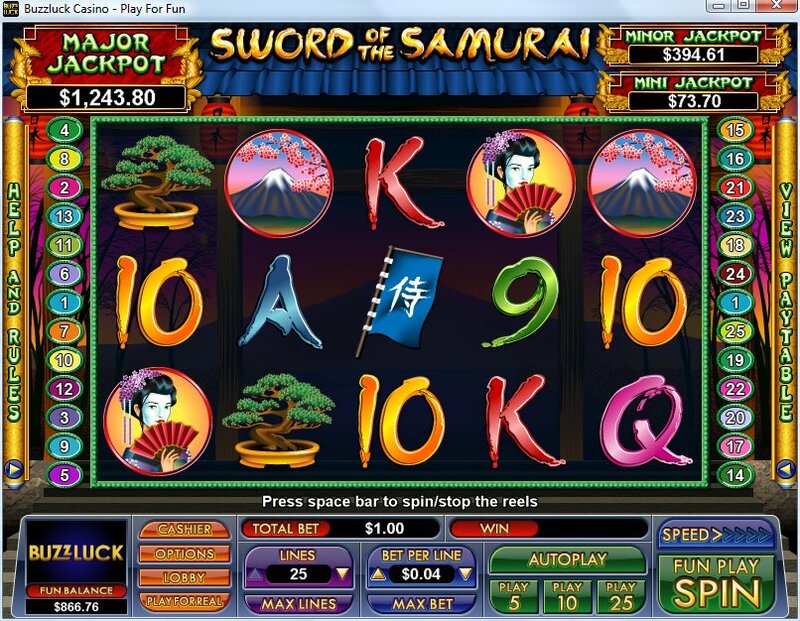 Sword of the Samurai also includes 3 random jackpots which can be won at the conclusion of any paid spin. 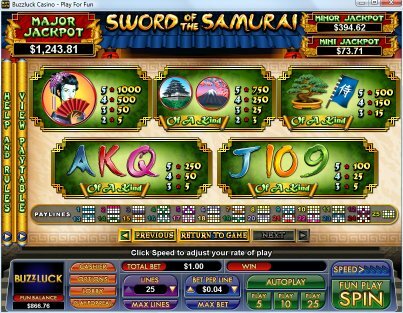 Sneak up and give it a spin! 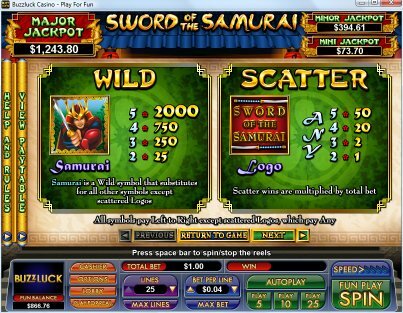 Similar Slots: If you like Sword of the Samurai, you might like these other slot machines from NuWorks: Batter Up, Judo Ferret, Lucky Numbers, Moby Duck, Red Raiding Hood.